Hi there, my darlings!! This afternoon, I have a story to share with you all. 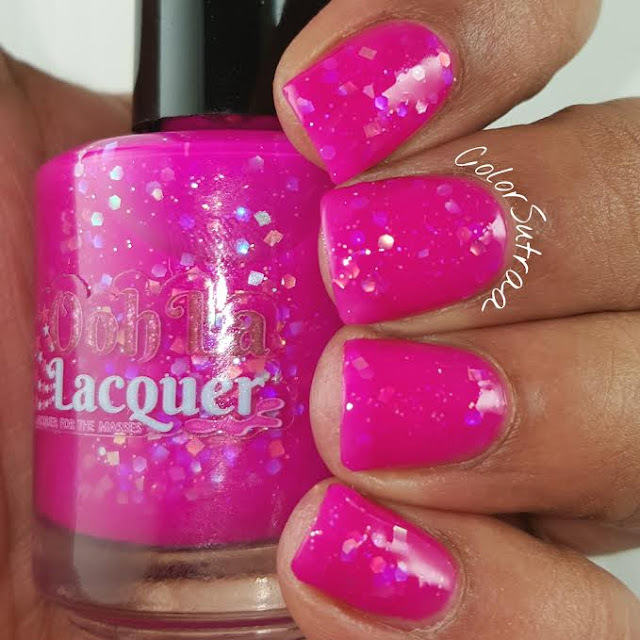 So, just before I left for India, Nastassia of Ooh La Lacquer emailed me to let me know that she'd like me to review several polishes from her upcoming summer collection. 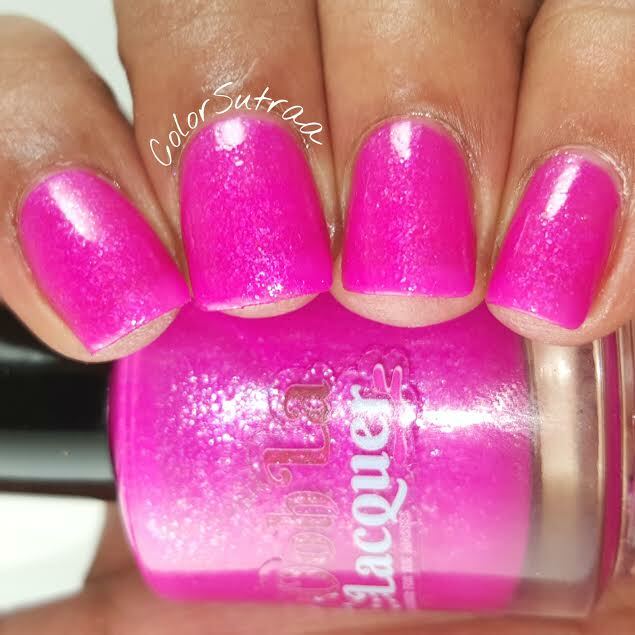 Since I absolutely love my Ooh La Lacquers, I was thrilled to bits! Flash forward 2 months to when I return from India and FINALLY manage to get these swatches done...but I can't find a single mention of ANY of the polishes ANYWHERE! Upon mentioning it to Nastassia, she sadly told me that she never released them because she didn't find them "good enough". Appalled and dismayed, since I had LOVED these babies, I sent over my swatches with my honest opinion of them--these were beautiful neons! And guess what!? My swatches changed her mind and she'll be added these beauties to her shop on October 1st! Yay for us all! Ready to see what Nastassia almost kept hidden away?! Before we get to swatches, let's take a couple of minutes to talk about the application and formula. 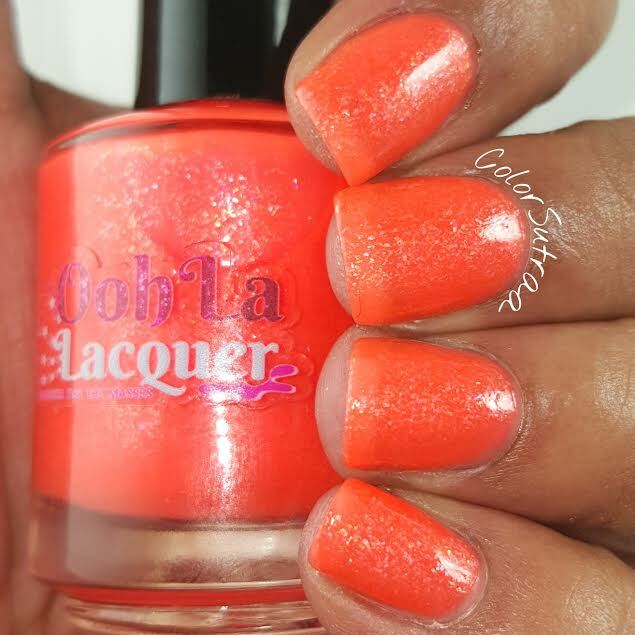 I was incredibly impressed with both the formula and application of these polishes. Being jellies and shimmers, and neons to boot, I expected them to be sheer at best, streaky at worst. But not so! 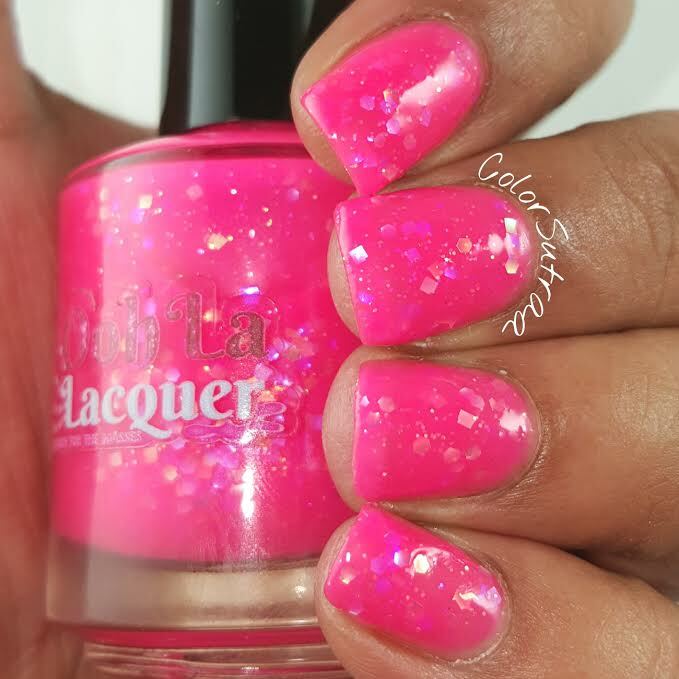 Courtesy of this trick from this article from The Trendy Nail, I used a matte topcoat, which in my case is Butter London Matte Finish topcoat as a BASECOAT but honestly, these didn't even really need that extra step. The swatches below show just 2 coats, , in the case of both the shimmers AND the jellies, topped with 1 generous coat of Glisten & Glow's HK Girl topcoat. With that said, let's get to swatches! First up, the shimmers! Kaboom! is a bright, hot pink with iridescent shimmer. 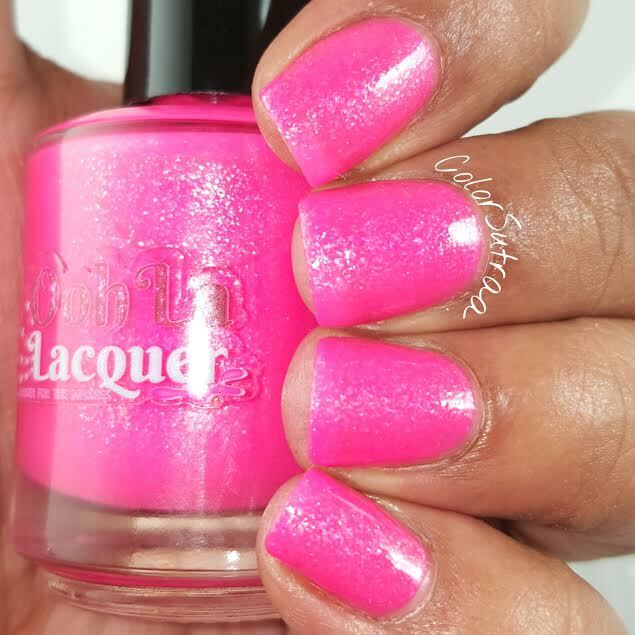 Such a flattering shade of pink for, I daresay, MOST complexions! 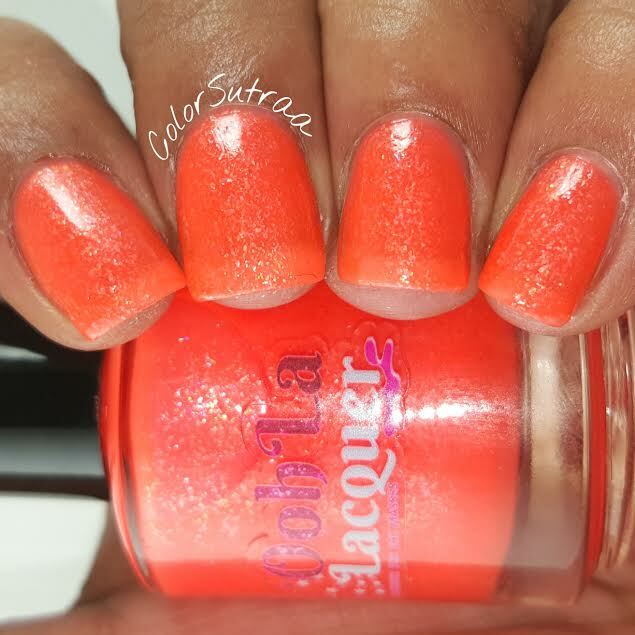 Haute Sauce is a bright, tangerine orange with iridescent shimmer. 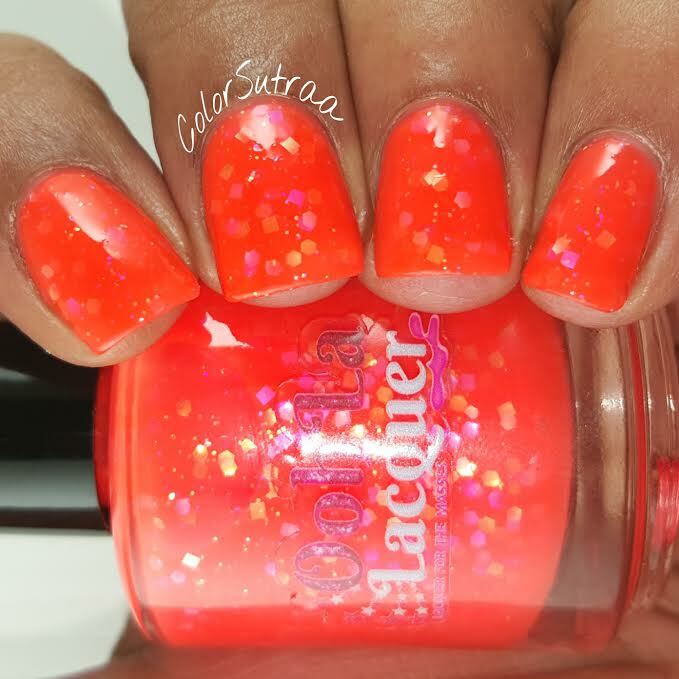 This orange is seriously fiery! 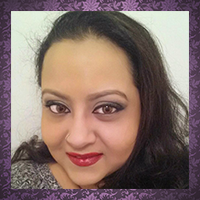 Pizaaz is an electric fuchsia-purple with iridescent shimmer. True to form, this one was my fave of the shimmers! 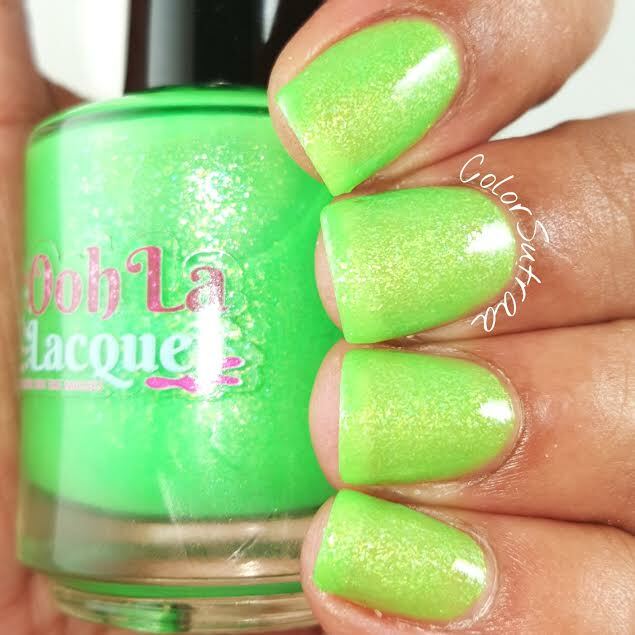 Laser Beam is a shockingly bright, lime green with iridescent shimmer. 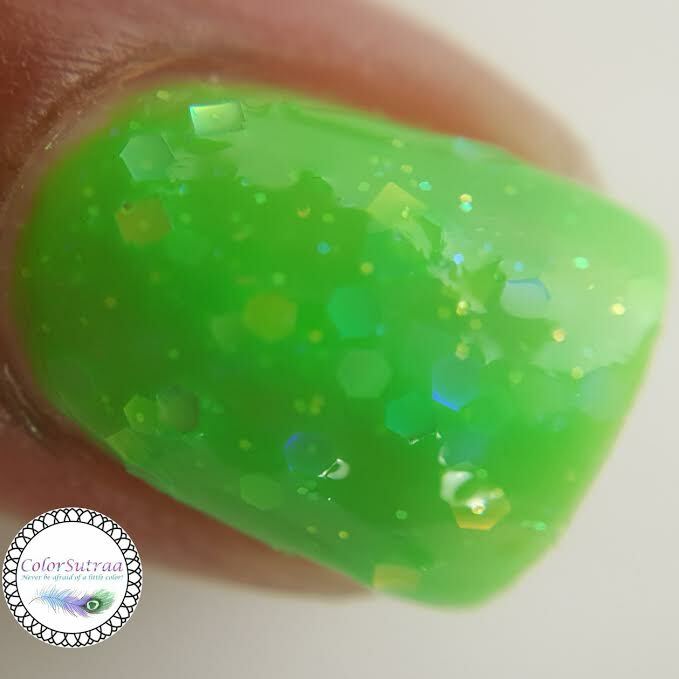 With the added shimmer, this baby all but glows! 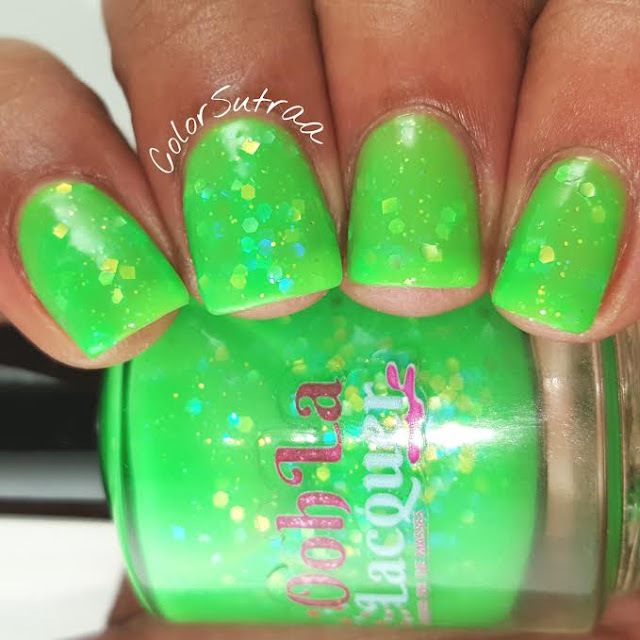 And now for the neon jellies! Bam! 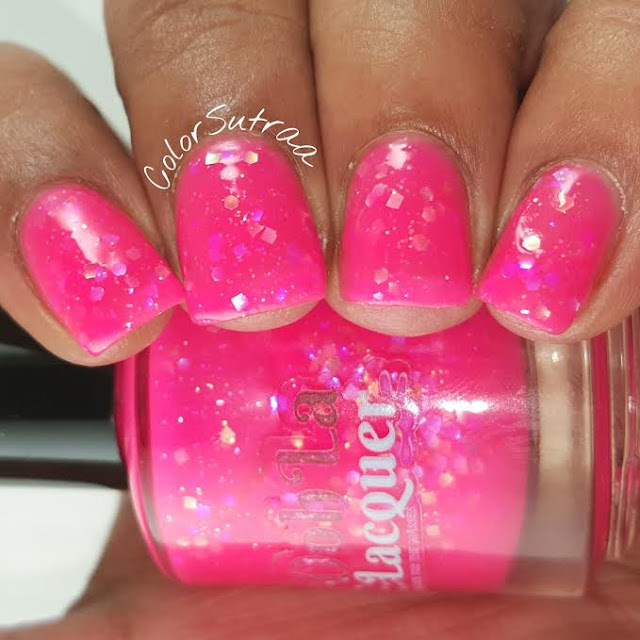 is a hot pink jelly accented with holographic glitter!. 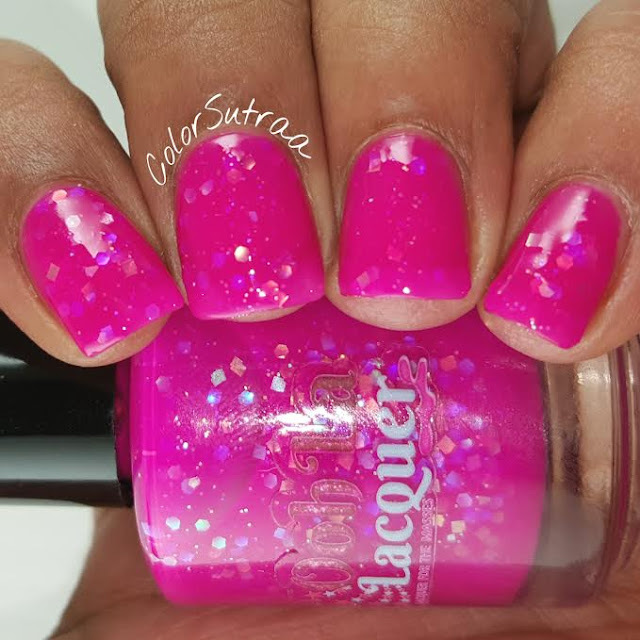 Again, SUCH a gorgeous pink! 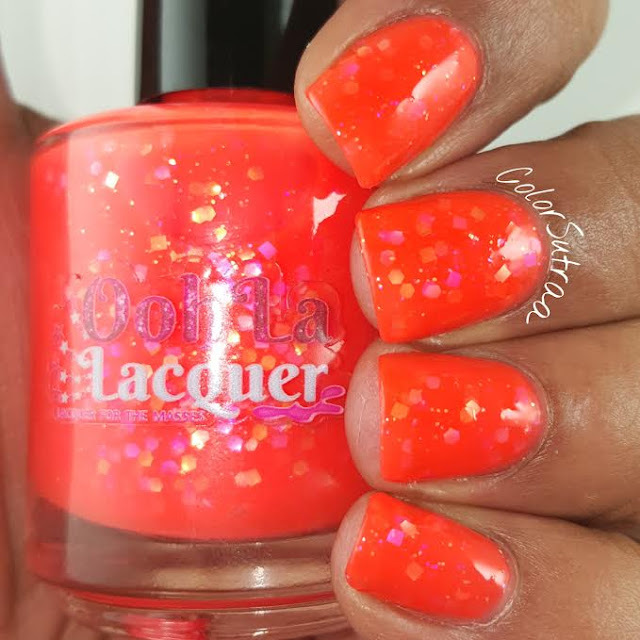 Hot Stuff is a saturated orange jelly accented with holographic glitter. Now, you know I don't do oranges...but I'm kinda loving this one! Jazzy is a rich fuchsia jelly accented with holographic glitter. 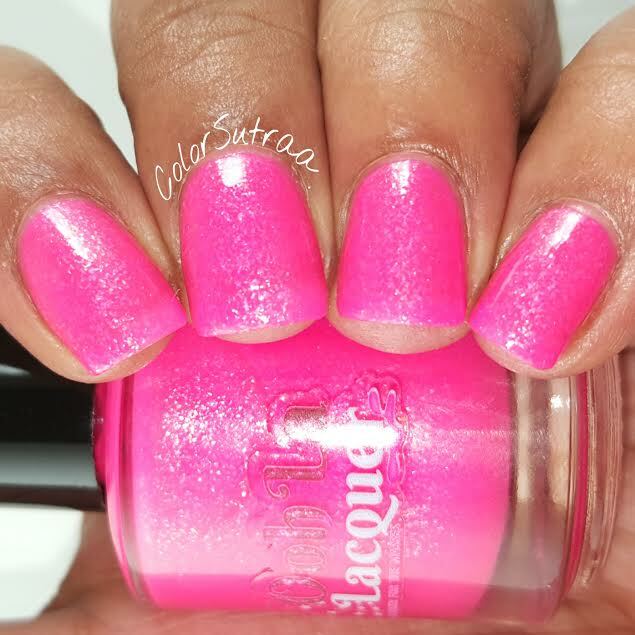 I love this one--it's so pigmented and just such a happy color! 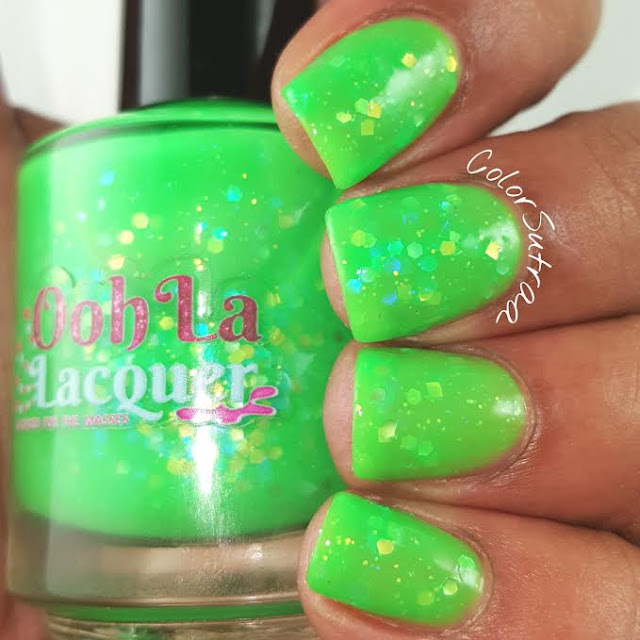 Gleam is a searingly bright lime green jelly accented with holographic glitter. 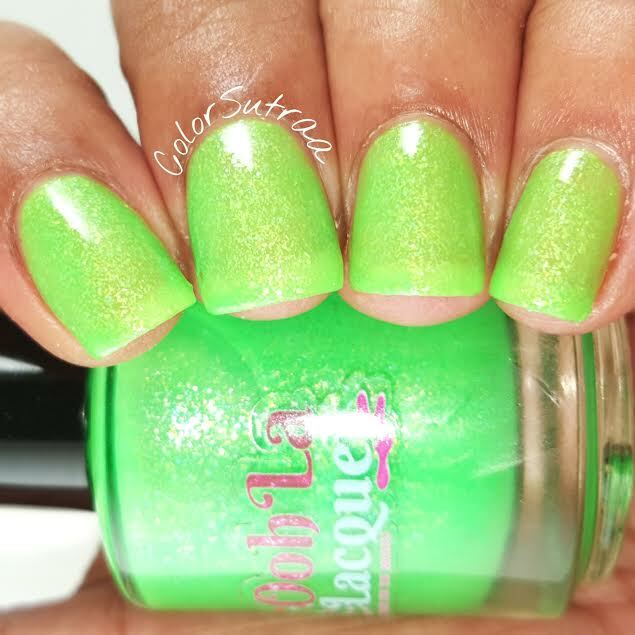 Where are my green lovers at?! So there you have it, my darlings! All 8 of these new, never seen before shades will be added to Ooh La Lacquer's Etsy shop HERE on Wednesday, October 1st! 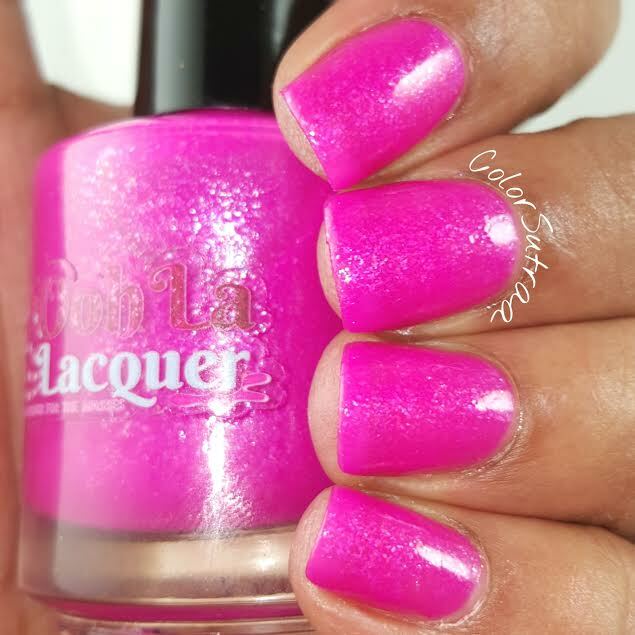 Don't forget to follow Ooh La Lacquer on FACEBOOK and INSTAGRAM for exact timings and more restock info! Which of these are YOUR favorites? Are you done with neons? Or would you rock one of these, no matter what the season? I'd love to hear from you in the comments section below!